LAMP named as an acronym of the Linux operating system, the Apache HTTP Server, the MySQL relational database management system and the PHP programming language. The Apache HTTP Serveris the world’s most used web server software. Open Terminal. To open terminal click the Main Linux Mint Menu, then go to system tools and select Terminal or type terminal in the search field or click the Terminal icon in taskbar. And type the below code in terminal and hit enter. Type your linux mint password and press enter. Type y and hit enter to confirm apache installation. in the address bar and press enter. 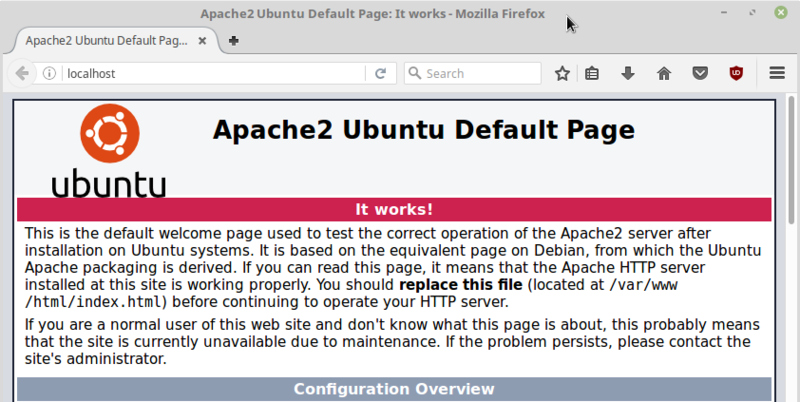 If you will see ‘It works!’ in the Apache2 Ubuntu Default Page, then your apache works fine. PHP is a server-side scripting language. To install php on linux mint open terminal and type the below code in terminal and hit enter. Type your linux mint password if needed. Type y and hit enter to confirm PHP installation. This will install the latest php version that is 7 on linux mint. To test PHP is installed, Type the below code in terminal and hit enter. in the terminal and type your linux mint password if needed. It will open the phpinfo.php file in xed. Type below code in the phpinfo.php file, save and exit it. in the address bar and press enter. 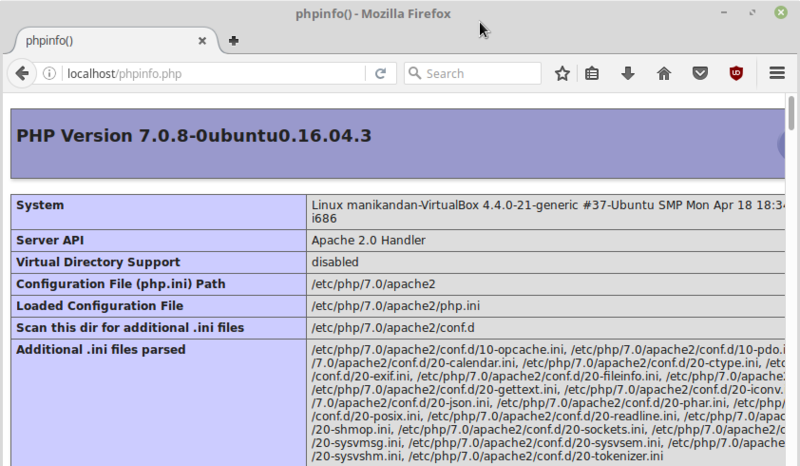 If you will see the below page , then your php works fine. To check the installed PHP version in terminal, type the below command in terminal and hit enter. 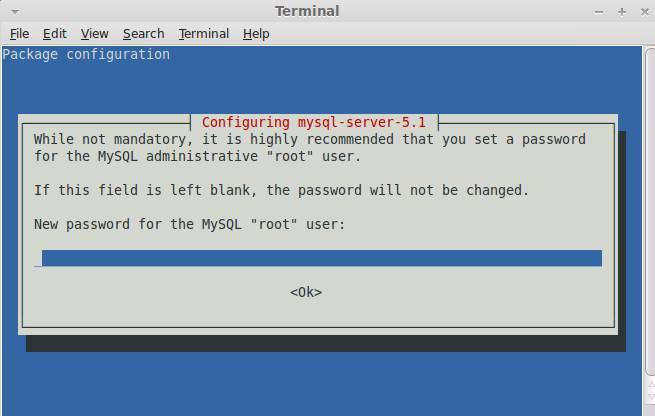 To install Mysql in your linux mint system, open terminal. And type the below code in terminal and hit enter. Type y and hit enter to confirm MySql installation. During the installation you will be prompted for a password. Choose something secure and type the password and hit enter. If asked again, repeat the password and press enter. To install php mysql, php curl and php json modules use the below command in terminal. Open your terminal. And type the below code in terminal and hit enter. 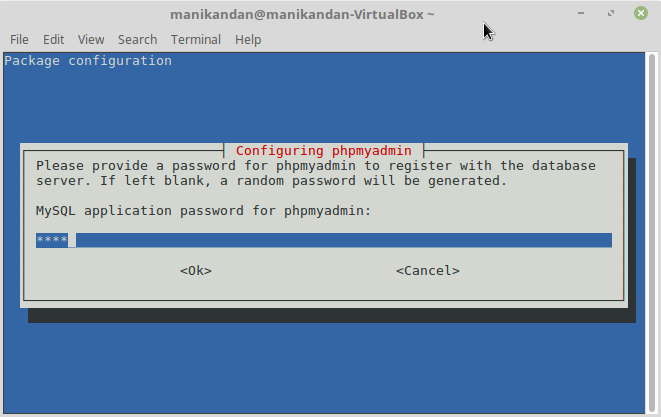 Type y and hit enter to confirm phpMyadmin installation. 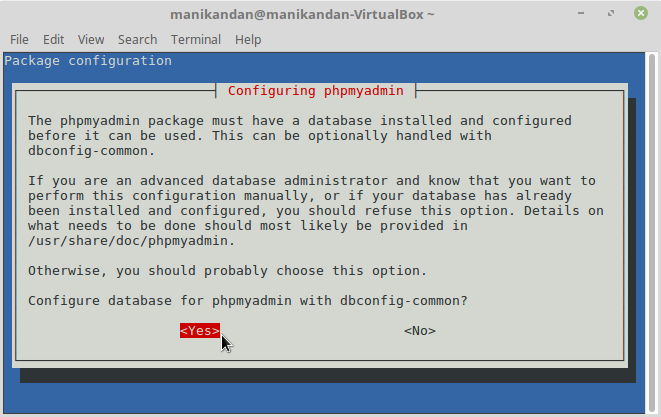 Now you will be prompted for a configure database for phpmyadmin wjth dbconfig-common. and press the down arrow key to point ok and hit the enter key. Again confirm the password and press OK. Type your linux mint password if needed. And restart your pc. Type your mysql root username and password to login. 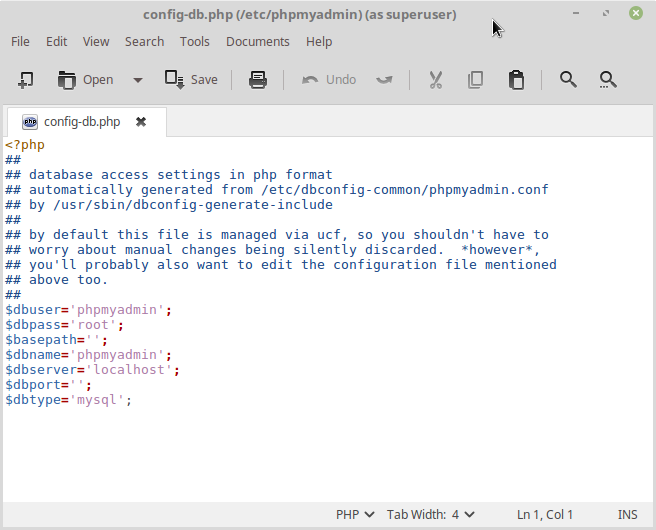 In case phpMyAdmin is not working or you get an empty phpmyadmin page, then please do the following steps. 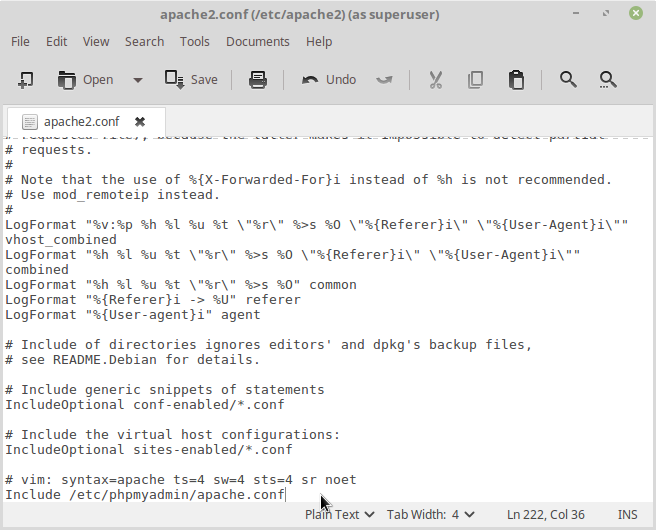 it will open the apache2.conf file in xed with root permission. Add the below line at the end of the file and save and the exit it. Restart apache service using the below command. Then type the below code in terminal. Then restart mysql using the below command. in the address bar and press enter. 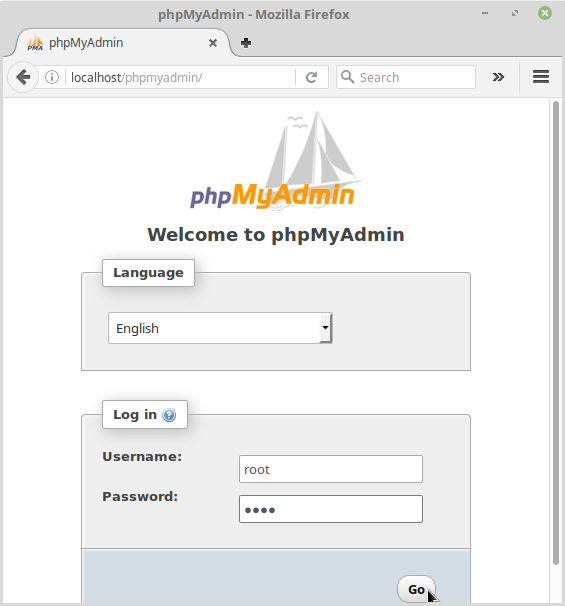 It will open the Phpmyadmin admin login page. Type your username and password to login. Note down the username and password. Thank you so much for such a detailed and straightforward guide. It really helped me to setup everything in such a short period of time. Thank you so much for the very clear instructions. Mad respect. Thanks a bunch. That was very helpful. Thank you very much this was very helpful. And as said above a big time saver. Thanks a lot bro, this quick tutorial saved me tons of time! thank you very much! it showed me 404 not found what should i do to fix it ? Thanks a million. This was very helpful. I did not have a clue to begin with but was able complete it following your steps.